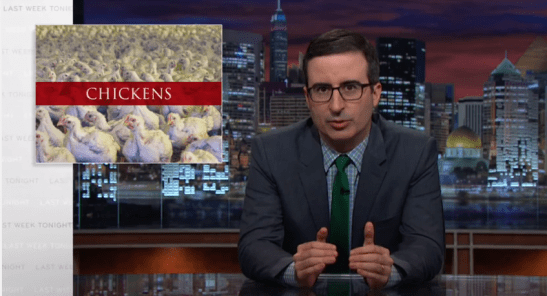 HBO’s Last Week Tonight with John Oliver recently featured a segment on chicken farmers and the poultry industry. RAFI has a long history working with poultry farmers for reform in contract agriculture, and we’ve put together some research to give you a quick overview of the data behind the issues highlighted in the show. Lines from the show are given in blue, followed by citations from relevant sources in black text. Source: USDA National Agricultural Statistics Service, Statistics by Subject. 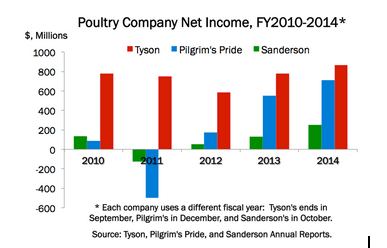 Now, obviously, all this has been great news for the poultry industry which is dominated by four gigantic companies: Pilgrims, Tyson, Perdue and Sanderson Farms. “Broiler production and processing is carried out within tightly integrated production complexes operated by firms called integrators. 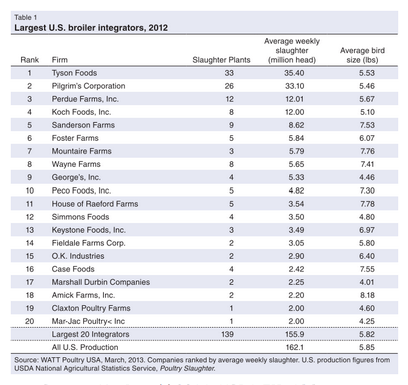 Twenty integrators together accounted for 96 percent of all broilers produced in the United States in 2012, and the top 3 accounted for 50 percent (table 1).” — MacDonald 2014, USDA EIB-126. Source: MacDonald 2014, USDA EIB-126. Perdue and Koch Foods, the remaining two of the top five poultry integrators, are private companies; their financials are not publicly available. These upgrades may be unexpected, and don’t necessarily benefit the farmers. These concerns were often cited in comments on the 2010 GIPSA rule,¹ where, for example, one grower stated that the chicken company “never told us that when we got a 15-year bank note, that we’d have to build new structures for them. 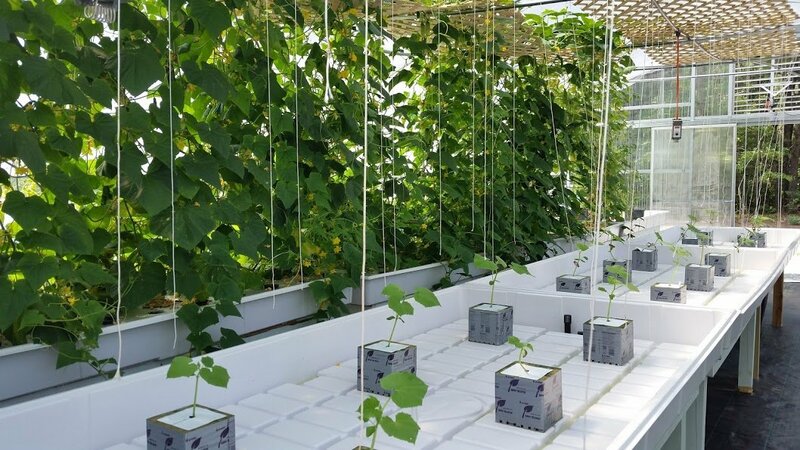 We are currently in $110,000 in debt because of forced upgrades.” According to another grower, “A lot of people upgraded thinking it would help the company and also help the grower. But the company is not compensating the grower for all the effort he put in into upgrading. They haven’t raised the base pay.” “The company takes, you know, could be as many as one hundred farmers in an area, and then it ranks them against one another – those in the top half will get a bonus payment, extra money; those in the bottom half will get a deduction, will get financially punished.” What that means is that you are competing against your neighbors: if they produce fatter chickens with less feed, your pay gets cut, and not by a little – you can be paid nearly half as much as other growers per pound for reasons not entirely within your control. The table below shows the prices per live-weight pound farmers were paid for chickens raised under production contracts: the average (mean), median, 10th percentile, and 90th percentile. The 4.32¢/pound paid to the 10th percentile growers (those near the bottom of the tournament rankings) amounts to 62% of the 7.02¢/pound paid to those in the 90th percentile (near the top of the rankings). And the thing is, chicken farmers can’t even complain because one of the reasons that you’ve not heard about this story is that to hear farmers tell it, companies take a hard line with complainers. In a 2010 USDA/Department of Justice workshop on the poultry industry, growers and others cited concerns about retaliation by the poultry companies, and noted that many other growers declined to attend out of fear that they would face negative consequences from their company (USDA/DOJ Poultry Workshop Transcript, May 2010). Growers also spoke about retaliation in their GIPSA comments¹: “They control the chickens, the feed, the timeframe, and the ranking system. There’s no checks and balances on these people. If you don’t like it, there’s no place to go. If you tell them you don’t like it, they can put you on the blacklist. And if you complain too much they can cut you loose if they want.” — “Yes, I want something done about retaliation and these other issues, but I’ve got to think about myself. I don’t want a target on my back right now. In five years when my part of the debt is done I could care less. Right now, I’ve still got financial requirements that I must fulfill and I need this farm in order to fulfill those requirements. I’m hesitant to speak out against them.” In a 1998 survey of growers in the Delmarva Peninsula, 57.4% of the 1,344 respondents agreed that “my company will retaliate if I raise concerns.” — Tom Ilvento & Angela Watson 1998, Poultry Growers Speak Out! An Executive Summary of the Delmarva Poultry Growers Survey Results. Growers’ fear of retaliation is exacerbated by the fact that many live in areas with only one or two companies. According to a recent USDA report, “In 2011, 21.7 percent of growers, accounting for 24.5 percent of broiler production, reported that there was only a single integrator in their area, and another 30.2 percent, accounting for nearly a third of production, reported two integrators in their area” (MacDonald 2014, USDA EIB-126). A grower dropped by one integrator may have no other options, and often may be unable to obtain a contract from another company even when one is present. The good news is protective rules for poultry farmers did actually get written, the bad news is they are not currently being enforced, because every year since the rules were written, a rider has been inserted into the agricultural appropriations bill that explicitly forbids the USDA from enforcing them. These protective rules were written by the USDA’s Grain Inspection, Packers and Stockyards Administration (GIPSA) in 2010 and are commonly referred to as the GIPSA rule. They originally addressed a host of issues and unfair practices facing poultry and livestock producers, including forced investments, misinformation, and retaliation. The rider that prevents the implementation and enforcement of these rules is called the GIPSA rider – read more on this year’s rider in this blog post by RAFI’s James Robinson. Just last year, Representative Marcy Kaptur attempted to pass an amendment simply giving farmers protection to speak out without retaliation – that was it – and she made a convincing case. Since efforts to stop the GIPSA rider and allow enforcement of the full set of rules have failed, Rep. Marcy Kaptur’s amendment aimed to offer one key rule on its own, protecting farmers from retaliation by their companies. See Rep. Kaptur’s full presentation of her amendment and the ensuing debate, including comments by Rep. Womack against the amendment, in the webcast of the appropriations hearing, starting at 2:51:40. Then check which way your representatives voted in the voting record on page 5 here. That same committee is set to meet again next month and Marcy Kaptur might again try to pass a provision protecting farmers from retaliation… There are 51 voting members on the committee. These are their names, and their states. You can find the list of the current 51 voting members on the Appropriations Committee’s website. Note that some of the representatives listed there were not members of the committee when Rep. Marcy Kaptur’s amendment was proposed last year, so they don’t appear in the voting record above. ¹ The quotes from farmers included here were researched and organized by Avery Siciliano, and come from public comments on the Grain Inspection, Packers and Stockyards Administration’s 2010 proposed rule. Thousands of farmers submitted comments supporting the 2010 GIPSA rule. These comments unveil stories of forced debt, false promises, and fear of retaliation among poultry farmers. The selected quotes represent only a few of the many individuals who shared similar stories. Many additional comments can be viewed through regulations.gov’s docket browser here. Contributors: Avery Siciliano recently graduated with her Master’s degree in Environmental Management from Duke University’s Nicholas School of the Environment. She is interested in sustainable food systems, from poultry to shrimp, and currently resides in Washington, DC. Annie Segal is RAFI’s research assistant VISTA. She will be researching farming practices and developing systems to catalog existing research and track the impacts of programs at RAFI. She previously worked as a teaching assistant in France and has also worked with non-profits and volunteered with farms and community gardens. Annie attended UNC-Chapel Hill and graduated in 2013 with a BA in French and a Sustainability minor. 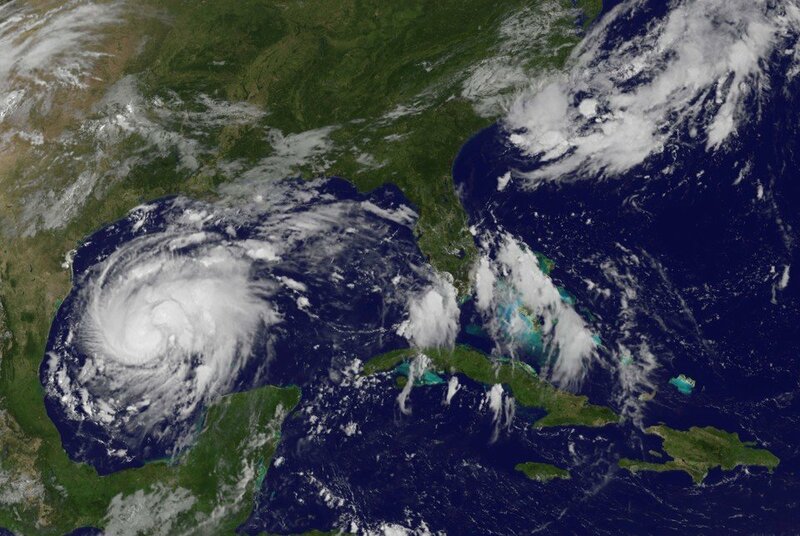 Next post Should Crop Insurance Be Part of Your Farm Risk Management Plan?